Zanasi & Partners | Zanasi, A., & Artioli, M. (2009). Text and video mining solutions to national security intelligence problems. Zanasi & Partners / Publications / Articles / Zanasi, A., & Artioli, M. (2009). 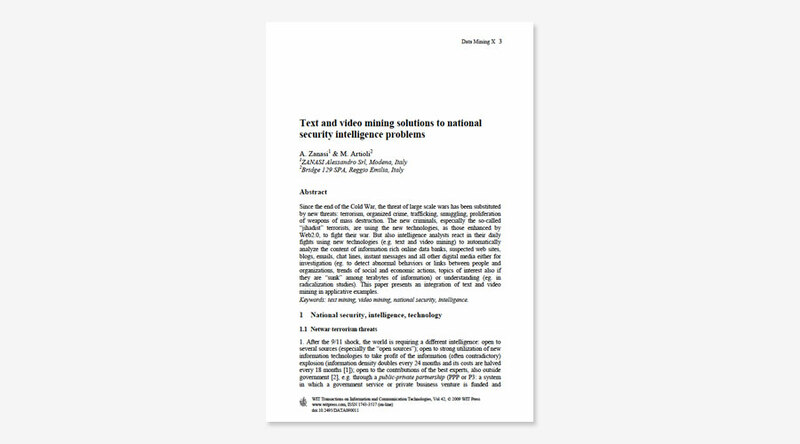 Text and video mining solutions to national security intelligence problems.